Asbestos siding remains a concern for millions of U.S. homeowners and businesses. Asbestos siding was very commonly used in buildings and homes from around the 1920s until the 1980s, and can still be found in many older homes in the U.S. and Canada. Asbestos siding was made by adding asbestos — a naturally occurring mineral — to Portland cement. That cement was then pressed into siding shingles that came in a wide variety of sizes, profiles, and textures. The resulting product was very durable, fire-resistant, and absorbed paint well. It also can be extremely dangerous if the siding is broken up and asbestos fibers are released into the air. Asbestos is a naturally occurring silicate mineral that has been mined and used in various applications for over 4,000 years, with most applications and industrial uses of it beginning in the 1800s. Asbestos siding was relatively cheap to manufacture and was very durable and resistant to the elements. It was easy to clean and paint adhered to it very easily, making maintenance and upkeep costs low. Asbestos was added to the cement because of its fire-retardant properties, as well as to add strength and durability to the siding shingles, as well as insulating capacity. Unfortunately, though, there was a lurking problem with asbestos that took decades to confirm: those same asbestos fibers that were being added could cause cancer if they became airborne and were inhaled. Mesothelioma and other asbestos-related cancers continue to impact millions in the U.S. and around the world. It wasn’t until 1989 that the EPA banned the us of asbestos in the U.S. in new building products. This means that millions of homes in the U.S. built prior to that date likely contain asbestos in some form. One thing that should be noted is that when asbestos fibers are inert, intact, and encapsulated in cement siding (as is most often the case), it poses absolutely no health risk. 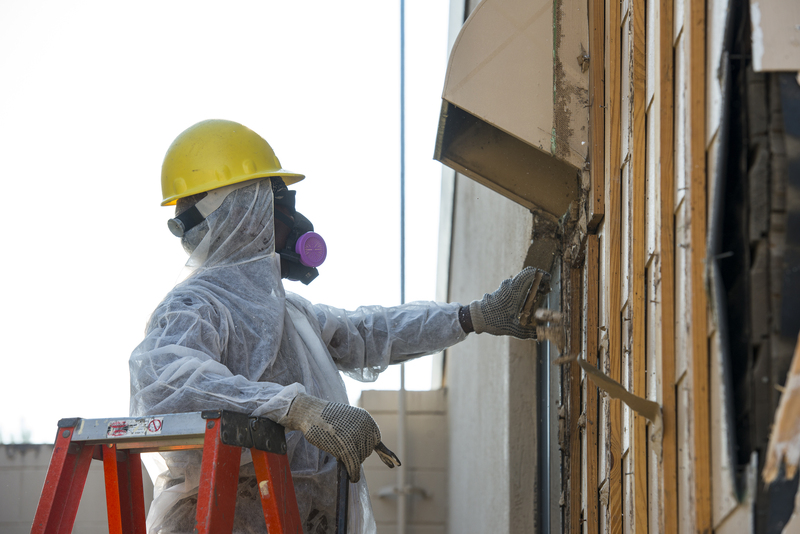 Asbestos only poses a health risk when the fibers are airborne and friable, which in the case of asbestos siding only occurs if the siding is actively sawed or broken into many smaller pieces. 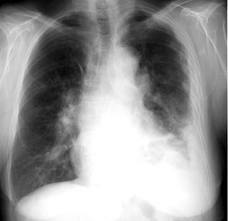 Most cases of mesothelioma, asbestosis, and other asbestos related diseases involve workers who are exposed to high levels of airborne asbestos fibers over long periods of time. Intact asbestos siding on your home poses no health risk as long as it is undisturbed. Mesothelioma and other cancers — as well as asbestosis and other lung diseases — are a serious danger after continued, long-term exposure to fibers from asbestos-containing materials (ACMs). If you own a home that has asbestos siding or are considering buying a home with asbestos siding or asbestos siding removal, it is important to know the facts about the risks of asbestos, as well as your alternatives for dealing with it and disposing of it. This site is designed to be an independent resource to give you exactly that: the facts about asbestos siding. Lawyers chasing big class action lawsuit settlements and removal contractors offering very expensive abatement and remediation services have made it difficult to find unbiased information on the subject. There’s no “good” news when it comes to owning a home that contains asbestos, but dealing with siding is thankfully one of the easier cases. Several options are available to homeowners including removing it yourself depending on the state you live in and local laws and regulations as well as asbestos siding replacement of single shingles. Always test first to see if you actually have asbestos in your shingles or siding, as many manufacturers made similar looking cement siding that in fact contains no asbestos whatsoever. Some states offer free testing for residents, while others charge a nominal fee of $20 or less for testing services. Some labs offer test results in 24 hours or less, so in in many cases you can quickly get results and know with certainty whether or not you have asbestos in your siding. Once you’ve determined that you do in fact have asbestos siding, the next step is to weigh the options that include the cost of asbestos removal, and the health risks of disturbing it during removal. 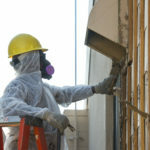 You’ll also have to deal with disposal of the siding and whether or not encapsulating the siding with new vinyl siding or other materials might be the best option when it comes to asbestos abatement. Carefully consider all your options when dealing with asbestos. Not only is making the correct decision critical for safety and health but thorough research is critical in order to put emotion aside and make the right choice.